Explore our inventory and find your favorite here, then keep reading to see why when it’s power and performance you need, it’s Stingray Chevrolet you want. Why Stingray Chevrolet in Plant City Florida? Competitive Financing: Learn about the rebates and incentives available to make your Chevy truck fit into your unique monthly budget. You can even apply with a few clicks of the mouse and see how much your payments can be before you sign on the dotted line. Fast Parts and Service: Order the parts you need to keep your vehicle in top form from our well-equipped parts departments or stop by our state-of-the-art service center and let our factory trained service technicians take care of the work for you. Commercial Service: If you rely on your Chevrolet vehicle to keep your business running, we can help you with innovative commercial solutions that save you time and money. 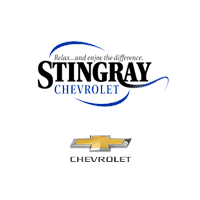 Whether it’s incredible savings or information you need the experts at Stingray Chevrolet in Plant City are here to help.